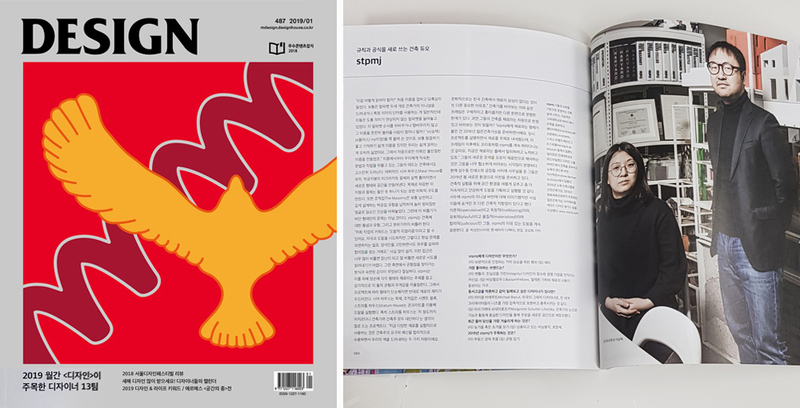 stpmj’s Five Story House & Beetle are featured in the book, Korean Architecture vol.01 _Single Family Residential Projects. 에스티피엠제이의 오층집과 물방개집이 단행본 한국, 오늘, 건축. vol.01 단독주택에 소개되었습니다. st gives a lecture on stpmj’s recent work in Hongik University, Sejong campus, in Nov. 1st. 이승택 소장이 에스티피엠제이의 최근 작업에 관한 이야기를 홍익대학교 세종캠퍼스에서 11월 1일 오후 6시에 시작합니다. stpmj’s first project in china, hainan club house & kids park is under construction. 에스티피엠제이의 첫번째 중국 프로젝트 하이난 클럽하우스 및 어린이 테마파크가 내년 2월 오프닝을 목표로 공사중입니다.